Mr. Klemme is a private investor who founded Agilence along with John Sullivan and Tom Bernetich in September of 2006. He founded RK Capital, LLC in late 2000 as a private investment and advisory firm. Prior to founding RK Capital, Mr. Klemme was a co-founder and Managing Director of CEO Strategic Solutions, a boutique investment bank. He was President and COO of Entrepreneurial Capital Corporation (ECC) a private investment company from 1986 to 1999. Before ECC, Mr. Klemme had 13 years of management experience at Wells Fargo and Bank of America. He was the Chairman of the Board of JABRA Corporation until its sale in 2000, and he served on the board of Sybron Dental Specialties (NYSE:SYD) until sold in 2006. Mr. Klemme received his BS in Marketing from Southern Illinois University and an MBA from the University of San Diego. A 28-year technology industry veteran, Mr. Hawkins is responsible for developing Agilence’s overall strategy and leading its growth. Prior to Agilence, he built two early stage technology companies into successful businesses. He was President and CEO of SilverStorm Technologies, a developer and manufacturer of high performance computer networking equipment, from 2004 until 2006 when he sold the company to QLogic Corporation. Prior to SilverStorm, he was the President and CEO of Paragon Networks, a developer of wide area backhaul solutions for wireless networks, which he sold to Carrier Access Corporation in 2003. Prior to Paragon, Mr. Hawkins spent 15 years at Lucent Technologies in a variety of management positions. He graduated from Boston College in 1980. Mr. Adams co-founded NextStage Capital in 2003 and has over 20 years of venture capital, operational, and financial experience. 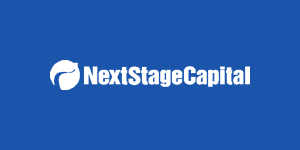 Prior to co-founding NextStage Capital, Mr. Adams was vice president of Safeguard Scientifics (NYSE: SFE) a publicly traded venture capital firm. During his six years at Safeguard, Mr. Adams led the sourcing, negotiation, management, and exit of more than $100 million in venture capital investments. At Safeguard, Mr. Adams was responsible for investment strategies for both business software and communications industry segments. He was also a member of Safeguard’s investment committee. Mr. Adams began his career in the Entrepreneurial Services unit of Ernst & Young. He holds a BS in Economics from Skidmore College and an MBA from the University of Michigan. Kareem is a founding Partner of Arrowroot Capital and is responsible for overseeing investment professionals & operating partners, qualifying deals, conducting due diligence, executing transactions, and monitoring portfolio companies. 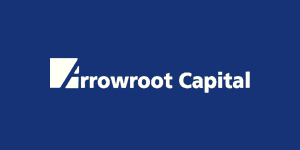 Prior to Arrowroot, Kareem was at OpenGate Capital in Los Angeles, a global private equity firm, where he was on the M&A team for North and Latin America. Prior to OpenGate, Kareem was at Redwood Capital Group, a merchant bank in Los Angeles, where he participated in principal and advisory transactions for middle market companies in technology, media and telecom. 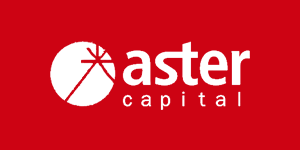 Kareem has also served at Dubai-based Abraaj Group, a global emerging markets private equity firm. Kareem currently sits on the board of Agilence and Embotics and also serves as a board observer for EiQ Networks and Zift Solutions. Kareem has an M.B.A. from the Wharton School at the University of Pennsylvania, an M.A. in International Studies from the Lauder Institute at the University of Pennsylvania, and a B.S. in Corporate Finance and International Business from the University of Southern California. Sam Kingsland has worked in early-stage venture capital for the past 25 years. He began his career at Hambrecht & Quist Venture Capital, where he was part of a team that pioneered new models for individual and corporate venture investing. 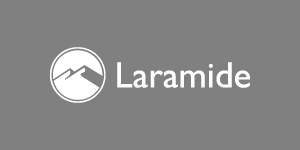 Mr. Kingsland is now a Managing Director at Laramide Ventures, an early-stage focused venture firm. He has worked closely with companies in a diverse set of industries, such as SaaS applications, IoT, wireless communications, datacenter infrastructure and consumer applications and products. Some of Mr. Kingsland’s past investments include DigitalThink (DTHK, Convergys), SnapTrack (QCOM), Fulcrum Microsystems (INTC), and Sierra Wireless (SWIR). He currently serves in a variety of board and advisory roles with companies such as Agilence, Kitu Systems, Table8, Simility, Kngine, and FounderSuite. Mr. Kingsland holds a B.A. from Dartmouth College. William J. Reilly Jr. is a senior executive with over 40 years of leadership experience. Since 2011 he has consulted for the Pennsylvania Power Corp., a custom solutions provider of electric generating plants and services. From 2004 to 2010 Mr. Reilly was the President and CEO of RealTime Media Inc., an interactive promotional marketing firm providing marketing support services to Fortune 500 companies. From 2002 to 2004, Mr. Reilly was a principal with the Chesterbrook Growth Partners, independent consultants to the private equity community. Prior to Chesterbrook, Mr. Reilly spent 13 years at Checkpoint Systems Inc.(CKP) where he served as Vice President of Sales, Senior Vice President of the Americas and Pacific Rim, Executive Vice President and then Chief Operating Officer. Checkpoint is a multinational manufacturer and marketer of products and services for automatic identification, retail security, pricing and brand promotion. During his tenure, Checkpoint grew from $35 to $720 million in revenue with over 4,000 employees. Prior to his role with Checkpoint Systems, Mr. Reilly held national sales and sales management positions in the medical electronics and telecommunications industries. He is a graduate of Mount St. Mary’s University with a BS in Psychology, and currently serves as a Director of USA Technologies (USAT). He Previously served as a Director of Veramark Technologies Inc. (VERA). Jay founded Laurel Capital to focus on businesses with revenues of between $5 and $50 million and EBITDA of up to $5 million. 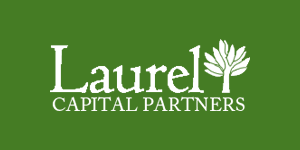 Within these parameters, Laurel targets companies with platform potential – unique assets and capabilities that, when combined with capital as well as outside expertise, make accelerated growth possible. Prior to co-founding Laurel Capital in 2007, Jay was a Partner at MVP Capital Partners. Jay came to MVP from Mirant Corporation, an independent energy company based in Atlanta. While at Mirant, Weber distinguished himself as an analyst in the company’s internal venture capital group where he focused on new business opportunities and prospective acquisitions. Jay holds an MBA from the Fuqua School of Business at Duke University, and a Bachelor’s degree from Wake Forest University. He resides in Wayne, PA.